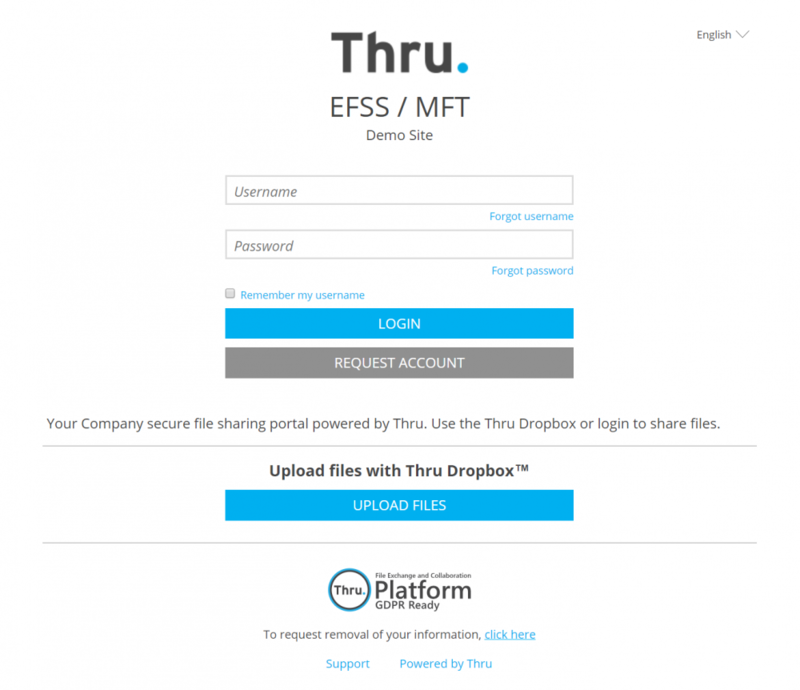 Thru provides users with access to Thru services from web browsers. Navigate to your company’s Thru site. (e.g. company.thruinc.net). Type in your username and password, and then click Login. To save your user name, select the Remember my Username check box. Here is a short video overview of the Thru Web portal Login page.